Lifestyle magazine Elle posted a fake clickbait link on Twitter about Kanye West splitting up with his wife Kim Kardashian West to get people to register to vote. 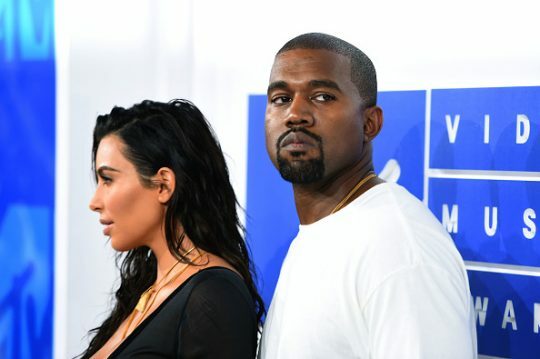 "Kim Kardashian and Kanye West are splitting up," its official account tweeted on Thursday, with a link to an apparent news article about what would be stunning pop culture news. However, when clicked on, it redirects to the website for "When We All Vote," a nonprofit that describes itself as "nonpartisan" but is co-chaired by former First Lady Michelle Obama and prominent liberal celebrities like Tom Hanks and Lin-Manuel Miranda. "So far in the primaries, women have beat long-time incumbents and created historic races, all while redefining what it looks like to be a woman in politics," the page reads. "And now you have the opportunity to vote for them, or whomever you choose, in the midterm elections. No matter your party or your state, it’s more essential than ever to make your voice heard. Take a few minutes to complete the form below, and be sure to cast your vote on Nov. 6." Like other glossy magazines such as Vanity Fair, Esquire, Cosmopolitan and GQ, Elle‘s forays into political coverage lean left. The Weekly Standard noted it was an apparent imitation of a similar viral stunt by a Twitter user on Sunday. He pretended to link to a story about why Pete Davidson and Ariana Grande broke up, but it redirected to the voter registration page at Vote.org. The move didn't go over well with some reporters and observers on Twitter. Not everyone thought it was a bad idea, though. Democrats are trying to increase voter turnout this November, after struggling in the last two midterms to generate enthusiasm. Low voter turnout in 2010 and 2014 coupled with Republican discontent with the Obama administration led to sweeping GOP victories those years, but Democrats are hoping to turn the tables with President Donald Trump and the Republicans holding power. This entry was posted in Politics and tagged 2018 Election, Fake News, Media, Michelle Obama, Obama Administration, President Trump. Bookmark the permalink.